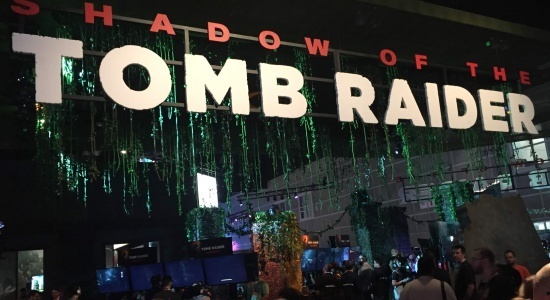 Day two at E3 was just as energy-fueled as day one. Kidzworld got a sneak peak at what's coming next in a private gaming session with Nintendo (more on that coming soon!) 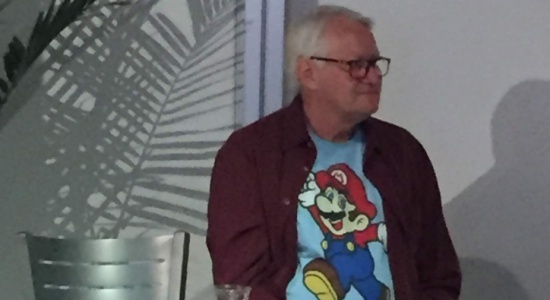 and caught a glimpse of Charles Martinet, the charming actor who has lent his voice to the character of Luigi in more than 60 video game titles. 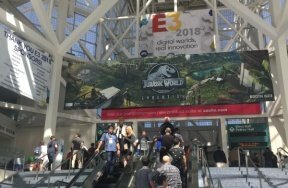 As we mentioned in the earlier E3 wrap-up, kids and teens under 17 are not admitted to the show floor. Unless, of course, they were featured actors in one of the largest grossing movies of all time. Which is how we happened to run into Seth Carr who played Young Killmonger in the movie Black Panther. 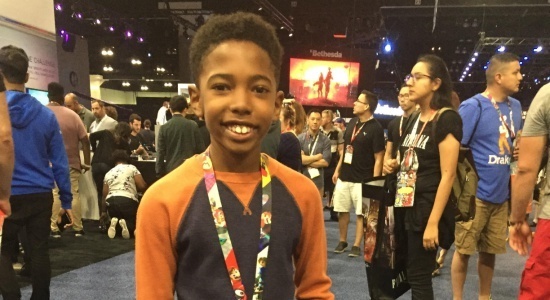 The ten-year-old actor (who will turn 11 on August 16) was fully enjoying the privilege of being one of the only kids at E3. His favorite part was, not surprisingly, the games. 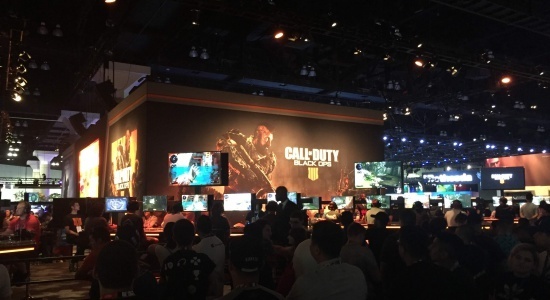 Seth Carr told us he had played Fortnite and Call of Duty: Black Ops when we first met up with him, and was ready to rush off and experience as much of the previews and demos as he could fit into the day. Twitch gamers LindsayElyse, HarmanDaGoat, and Avajaijai, among many others, were live-streaming while encased in a glass box, while others were doing the same at Bethesda Games, Facebook Gaming, and Mixer. 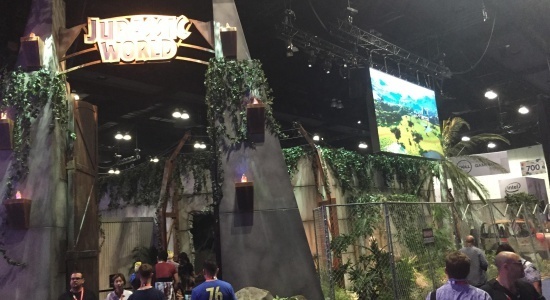 The lines to try most of the games were super-long, but hard-core gamers and reviewers braved the lines like it was a day at Disney World and drank in the charged atmosphere and larger-than-life video screens while they waited. At the Fortnite arena, gamers waited for an hour to compete head-to-head and shoulder-to-shoulder. 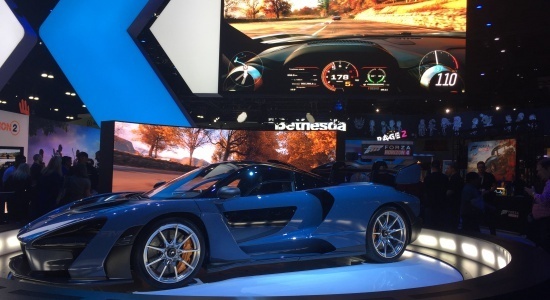 And lines were no different at Activision for Assasin's Creed and Call of Duty, at the Jurassic Park game which released on day 1, Shadow of the Tomb Raider, and a chance to sit in the moving D-box gaming chair as they raced the new Maclaren through Forza Horizon 4. 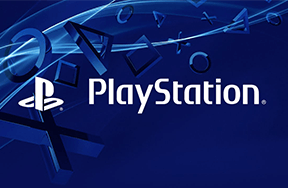 The longest lines, however were at the PlayStation and Nintendo booths, where crowds snaked through long lines while watching an endless loop of video game trailers projected on the gargantuan screens above them. 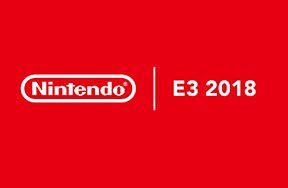 Their patience was rewarded with demos of the long awaited Spider-Man and "Walking Dead" games at PlayStation and the new Pokémon, Super Mario, and FIFA 2019 games at Nintendo. The dead are walking. Watch your step. Zombies aside, many of the games positioned costumed characters outside the booths, encouraging fans to take photos and come in to try the games. Cosplayers and gamers got in on the fun as well, with many guests and both hosts embracing the spirit of the event and coming in costume. 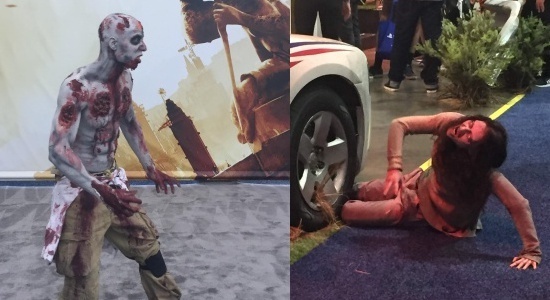 But we'll feature more on costumes and cosplay in another post, so stay tuned for more news live from the E3 floor! 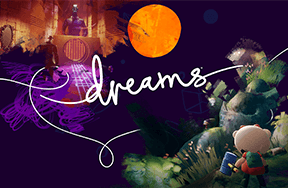 What's the first game you would play if you had the chance to demo any of the games at E3 this year?